Rarely have I come across an individual that combines all the much-needed qualities it takes to achieve success in the communications industry. Debbie understands brand, knows production and creative solutions inside out, then is able to convey the proper messaging, and feel, to all assignment objectives. This, in addition to always strengthening client relationships based on a few simple tools — trust, effort, and talent. I have had the pleasure of working with Debbie and her team for almost 15 years. Her creativity never dwindles. Debbie has unparalleled technical expertise, amazing creativity and a stunning ability to bring ideas to life. Debbie exemplifies the best in working side by side with us to constantly produce world-class material while always meeting deadlines and “keeping us calm” during “stressful times”. It is my honor to recommend Debbie and her company for your creative needs. as the creative team is, while still remaining a brand champion for her clients. Debbie, you’re a commander, directing our brand strategy and negotiating on our behalf for ad space; a leader, rallying the troops at every turn; and an incredible team player, working with clients and creative team alike. Thank you for helping us to create a sure-fire set of marketing solutions for LLIS! Debbie Radsick has performed a number of projects for Doyle Electric Services since the early 1990’s. She has designed and carried through to delivery of several different advertisement handouts for our Service division to help bring in new business. She has designed multiple ads for our use in local and regional publications. Debbie has always been dedicated to helping us succeed in our advertising goals and budgets. Debbie is always professional and always creative. I highly recommend you talk to Debbie about your advertising needs. 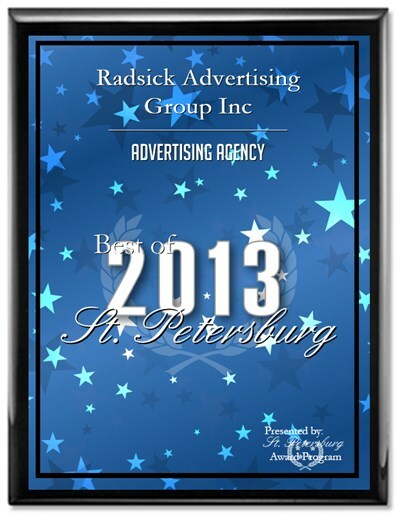 From custom graphics to the last page of your brochure, if you want consistency and attention to detail, “The Radsick Ad Group” will do you proud every time.